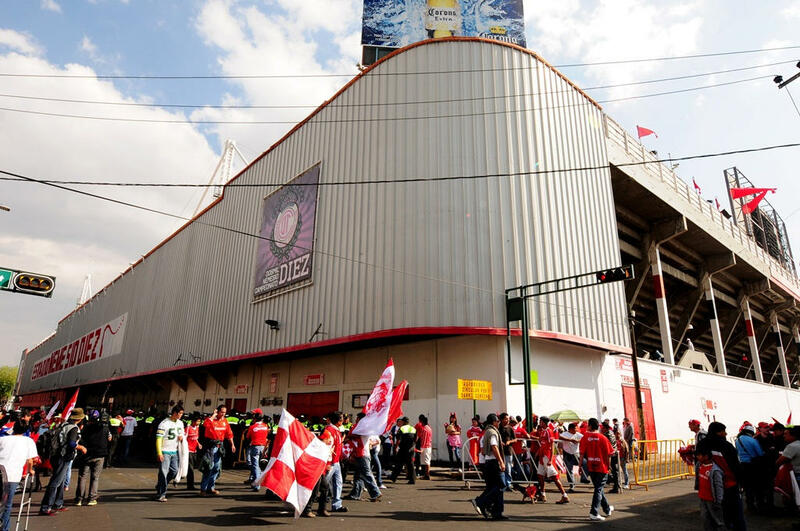 Had quite a few names in its past, but most popular is the one that never became official. 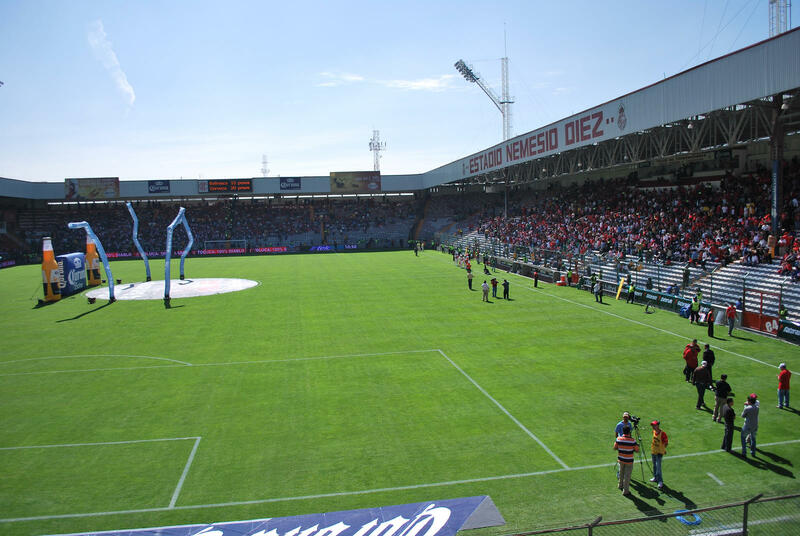 The football stadium of Toluca is called by locals 'Bombonera de Toluca', of course in reference to the giant of Boca. 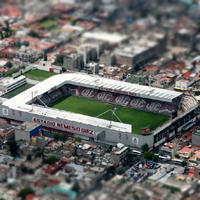 Not for the very resemblance, but for character and vibrant atmosphere. 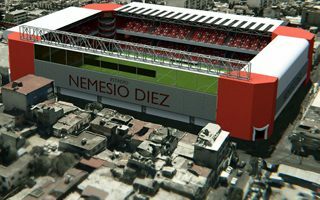 Official name is a tribute to Nemesio Diez, before him were 'Toluca 70-86' and 'Toluca 70', this time honouring two World Cups held here. 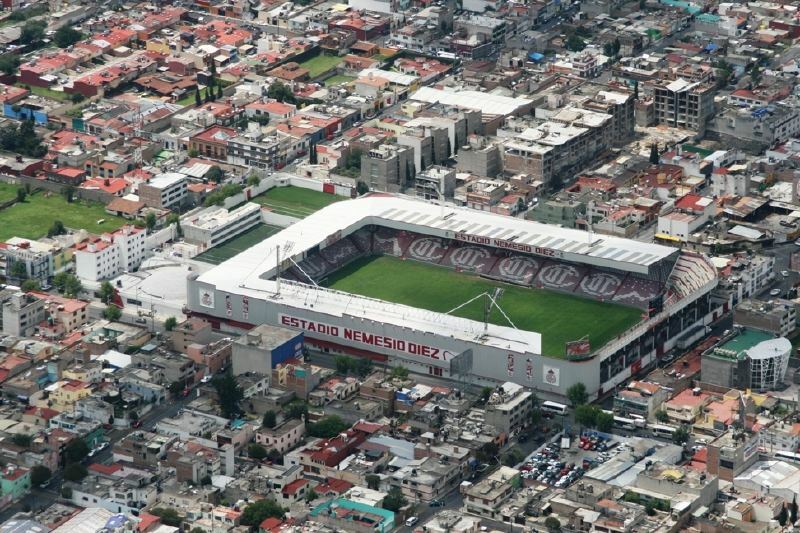 And before that it used to be Estadio Luis Gutiérrez Dosal, with Héctor Barraza being the very first patron. 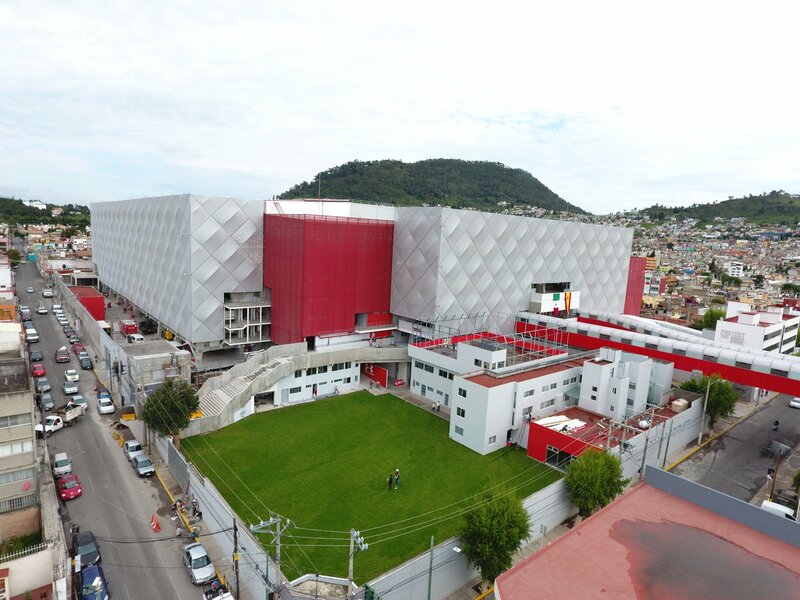 Official opening took place in 1954, but the history of this site goes back to 1919. 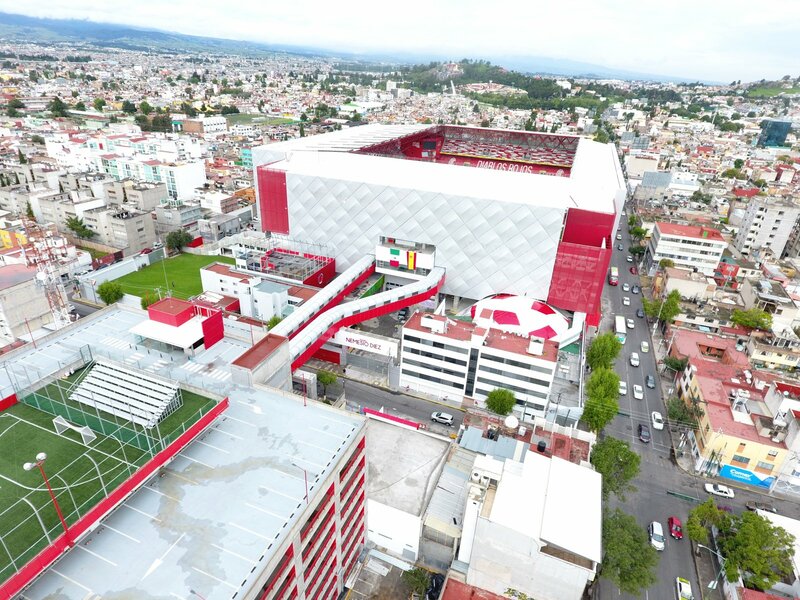 Since then it's been used as a sports precinct for Deportivo Toluca, who bought it in 1953 and redeveloped into their first private venue. 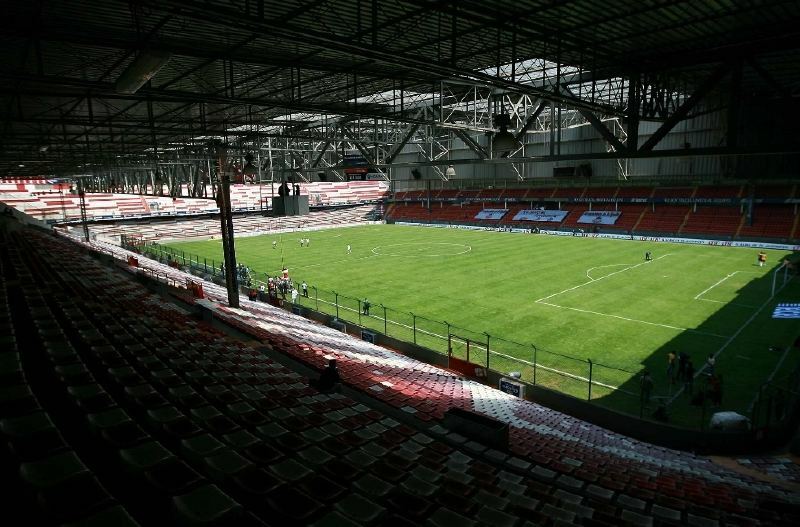 Since then it went through various revamps, most noticeably due to hosting of 1970 and 1986 World Cups. 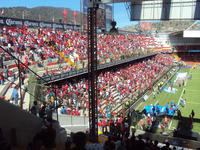 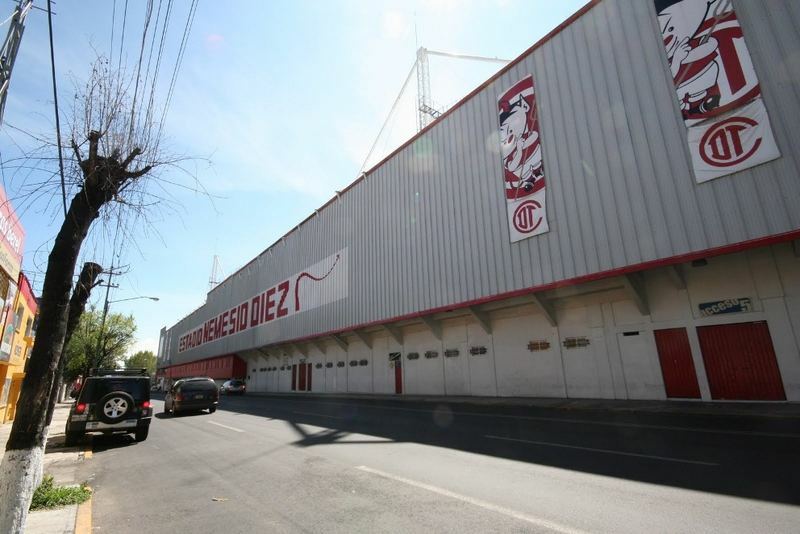 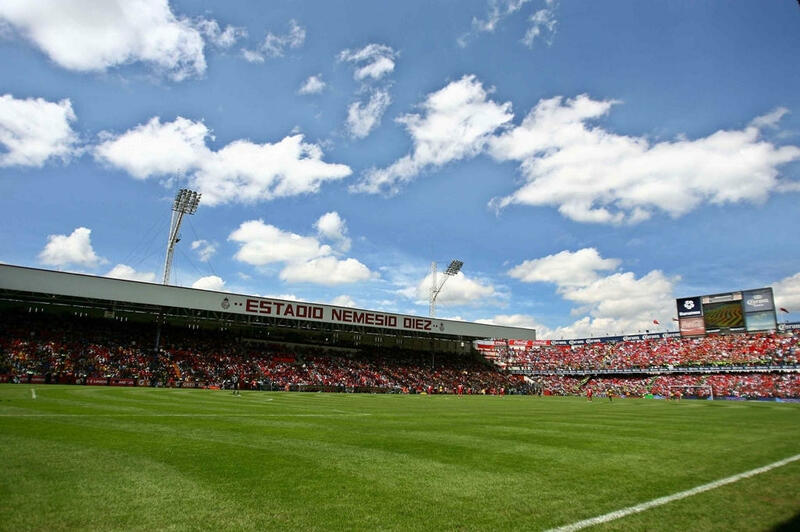 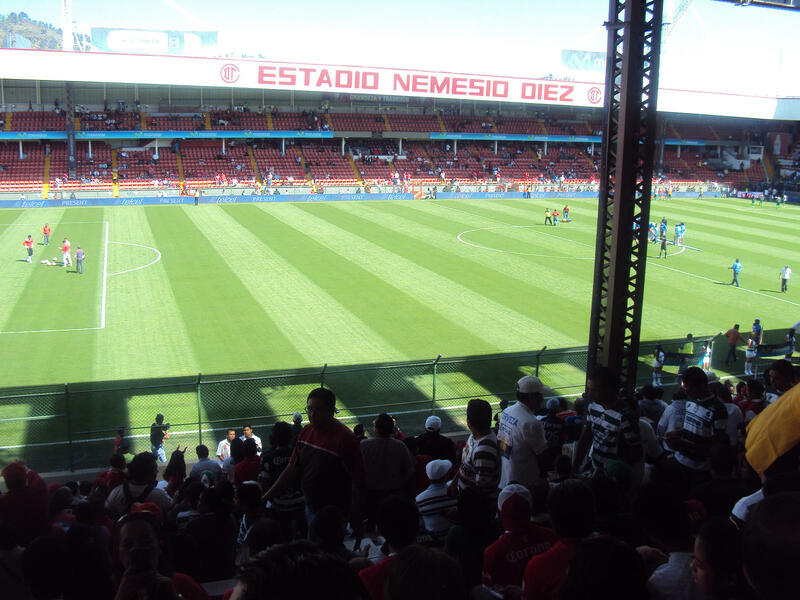 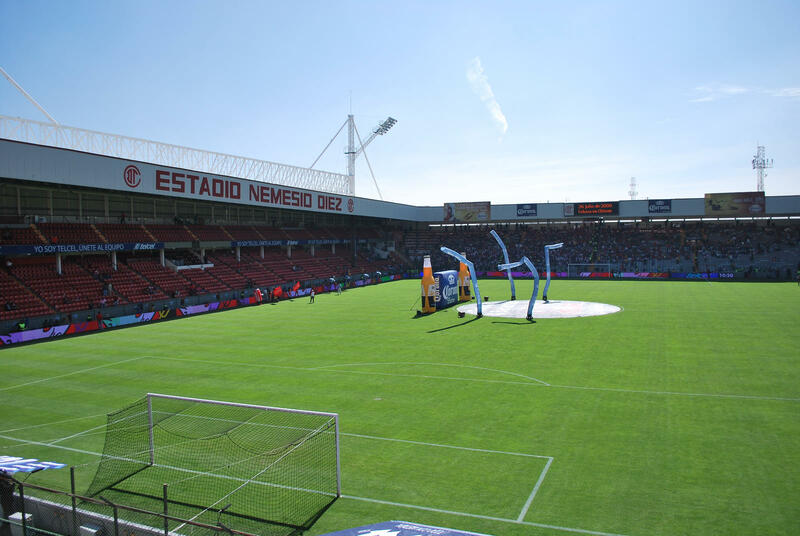 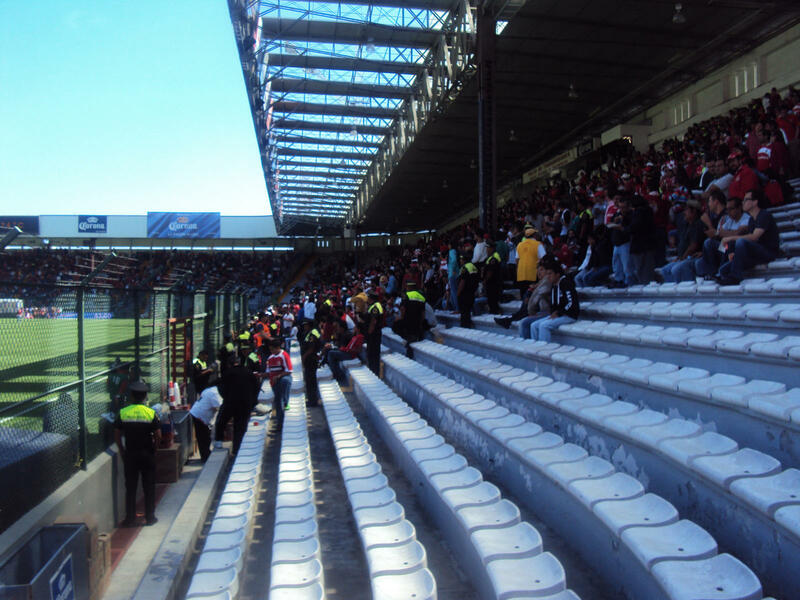 The stadium sits almost at the heart of Toluca, which has both good and bad sides. 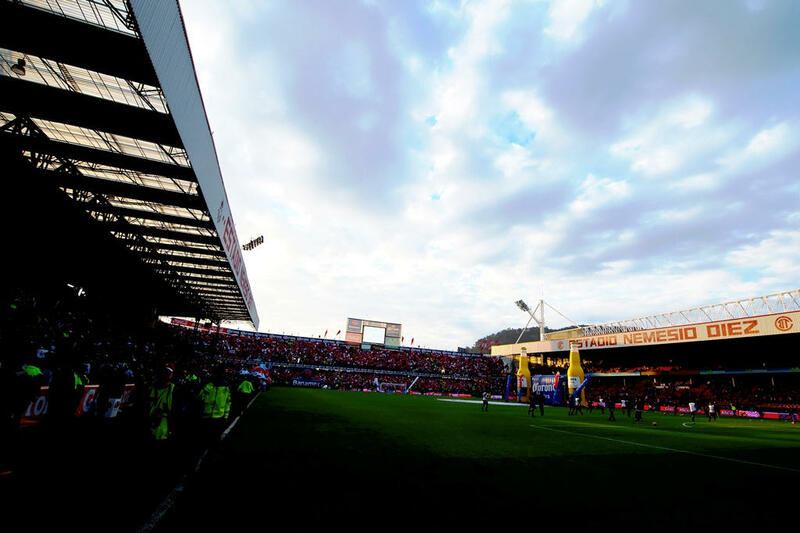 For supporters it's a true beacon, source of local pride and a place within walk's reach. 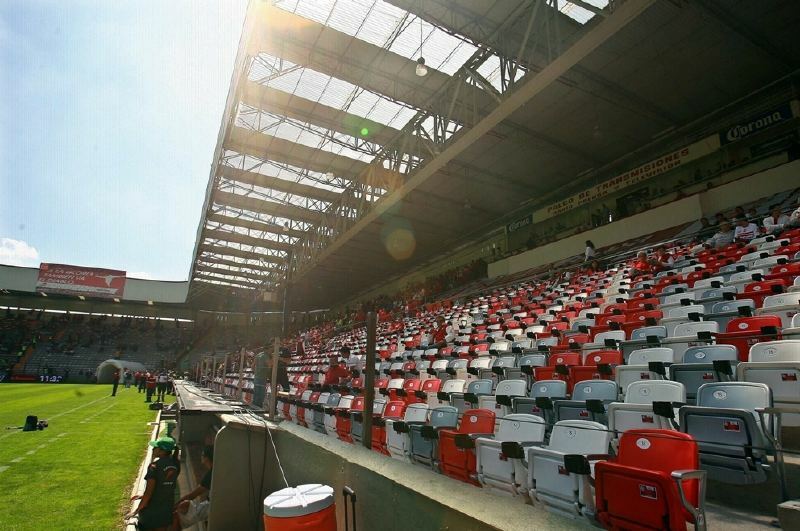 For the club and city it's a growing issue in terms of traffic and upgrades of the structure itself. 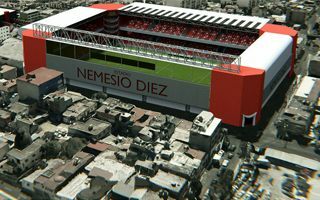 Even a regular cantilevered roof would have went beyond the stadium's footprint, possibly encroaching on private property. 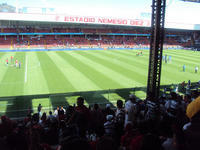 That's part of the reason why support pillars were placed among fans, obstructing view. 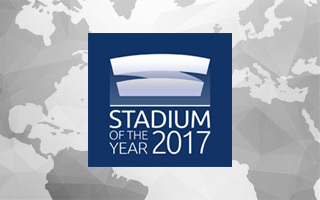 Finally, in 2015 a brand new approach to the stadium was presented, solving the roof supports issue and leaving room for the much-needed increase in capacity. 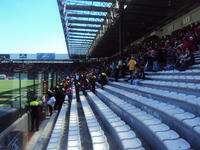 That very year, with very tight time frame of just 14 months, demolition of all corner sections followed. In their place 6-floor towers were erected, each serving three primary uses. 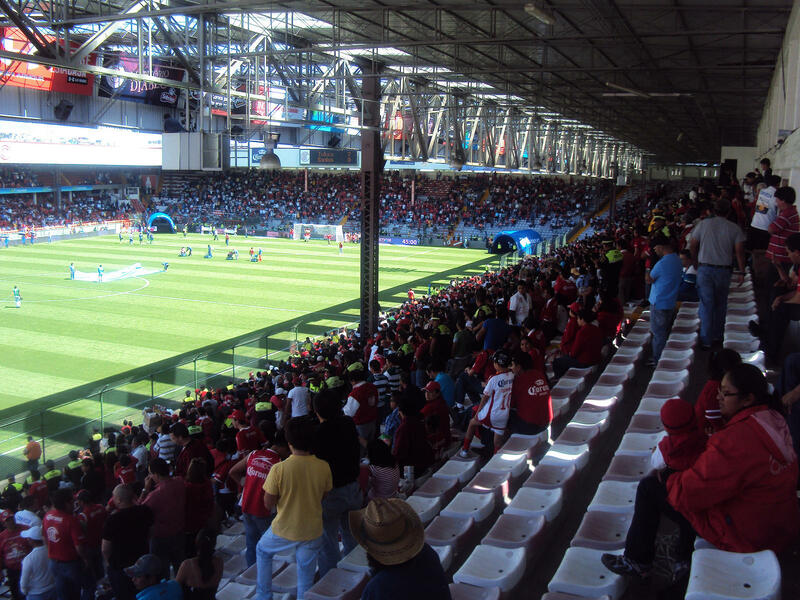 First, they provided anchors for future roof; second, they provided vertical crowd circulation; third, they incorporated private boxes and video screens. 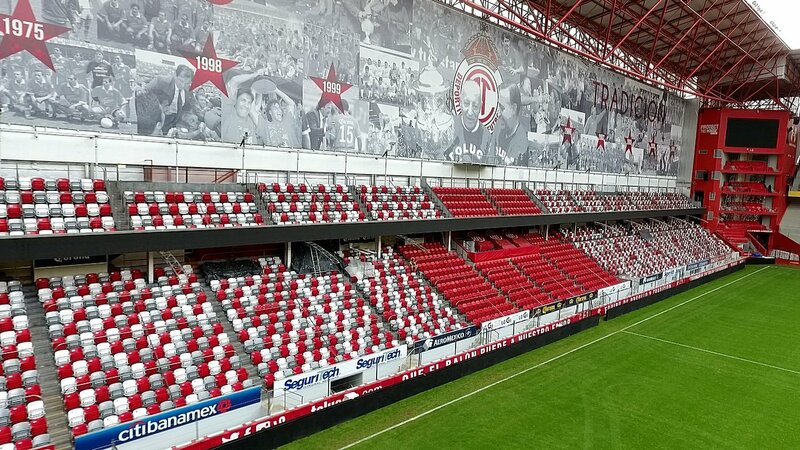 Moving corporate boxes to the towers freed up space for regular seating, which was the key priority with extremely limited space available. 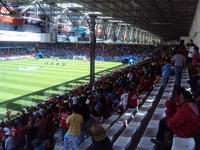 The west stand was then rebuilt from scratch with 3 tiers. 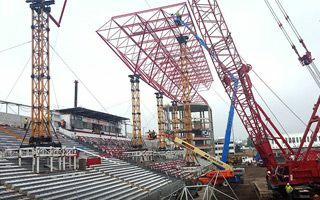 Height of main (south) and east stands has nearly doubled with second tiers added to each of them. Only the north section could not be expanded as it was already hanging over the pavement. 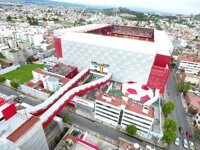 With all these steps capacity grew from 22,000 to 30,000. 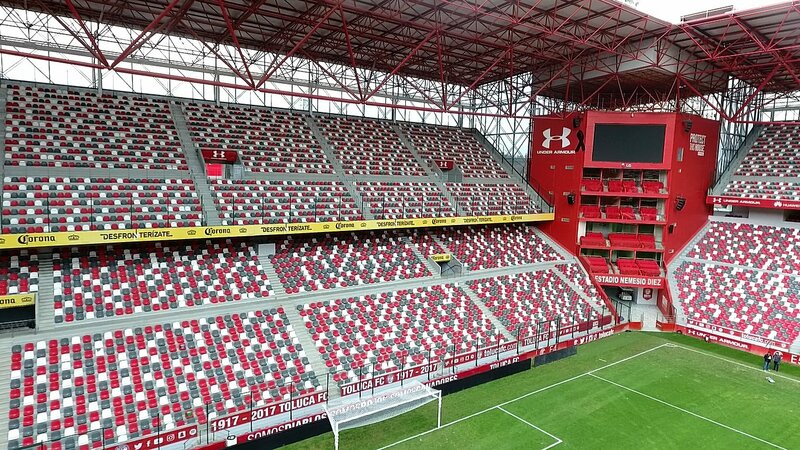 A lightweight geometric frame creates the new roof of just over 10,000 m2. 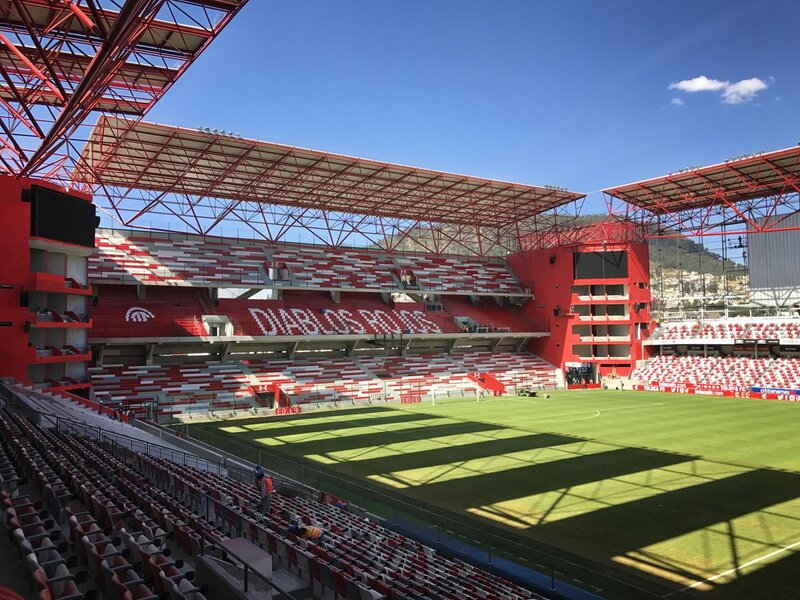 For the first time all fans can enjoy a view of the field without obstructed views as the longest truss span reaches 115 meters. 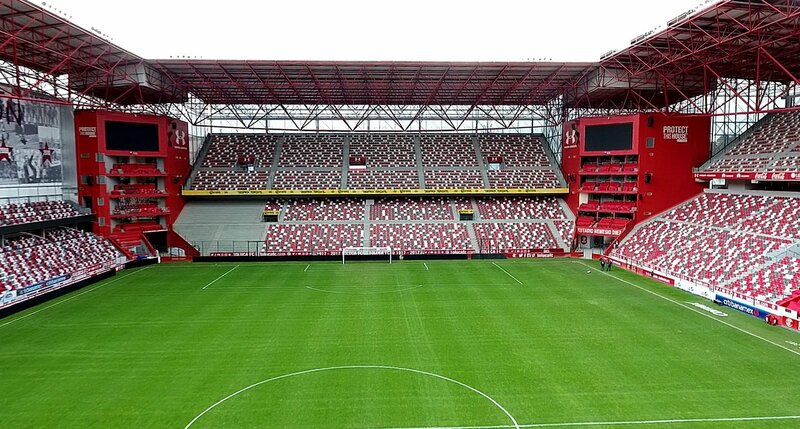 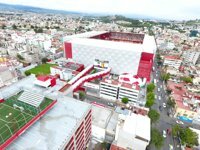 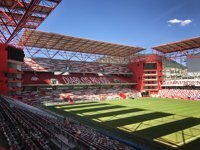 The stadium was supposed to be ready for Toluca's centenary in February of 2017. It wasn't, but proved operational despite some work still to be carried out. 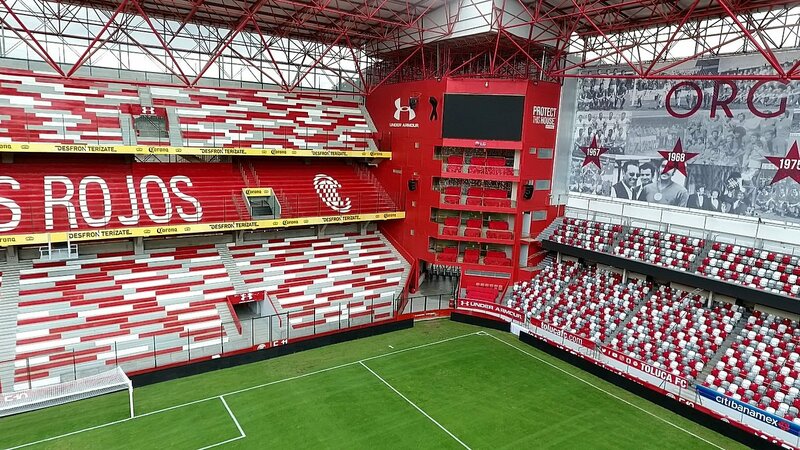 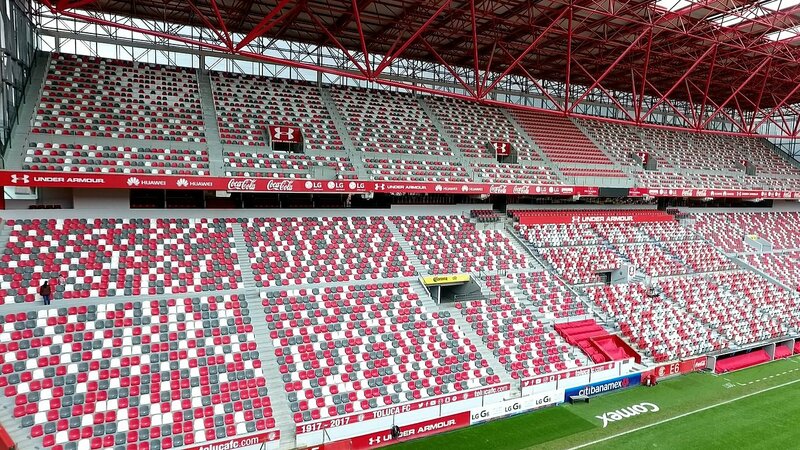 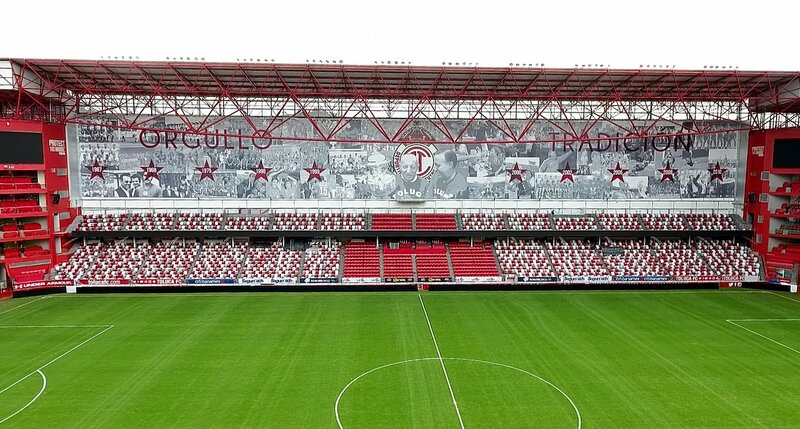 The very last phase was covering all of the stadium in new outer cladding, created with metallic mesh in red and white, the club colours. 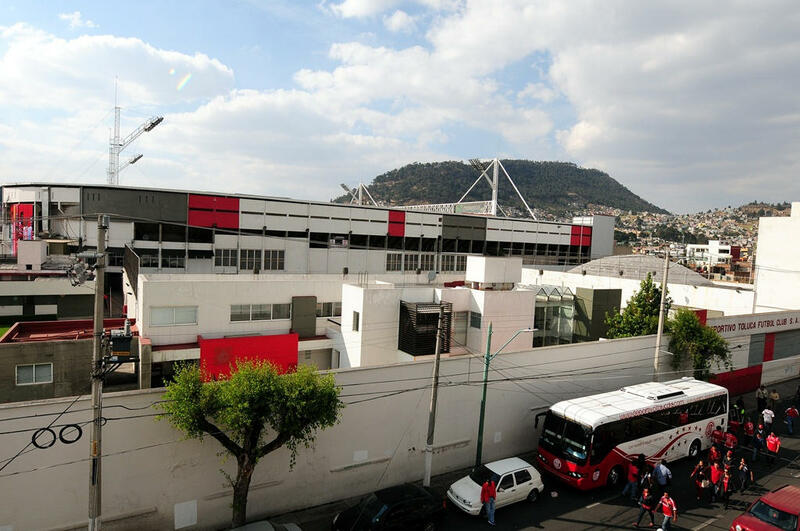 With no room for parking places beside the stadium, a 9-level parking site was created behind existing housing 75 meters east. 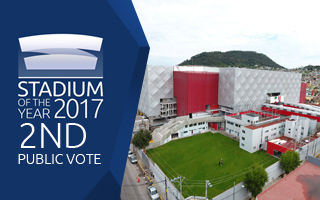 Providing over 500 spaces, the structure is connected to the stadium by two pedestrian bridges hanging over the street.